Office printers are deemed to seemingly last forever but the time will come when you will need to replace one of your most reliable pieces of hardware. If you’re becoming increasingly frustrated, or unsatisfied with the print quality, now is probably that time. Your average office printer may have been perfect for performing minimal necessary tasks, however how does it execute printing those essential heavier documents such as brochures and whitepapers? When sending papers to clients, suppliers, customers and even partners, they will expect the best. Receiving documents with excess ink streaks or blotches, or even blank pages will not satisfy their quality control requirements. Does your printer produce documents that fulfill the level of quality that defines your business? If not, you should really consider an upgrade! There is nothing more frustrating than a paper jam. Once every now and then you can handle as all printers jam at some point! However if this becomes a frequent occurrence it may be that your printer is coming to the end of its life. 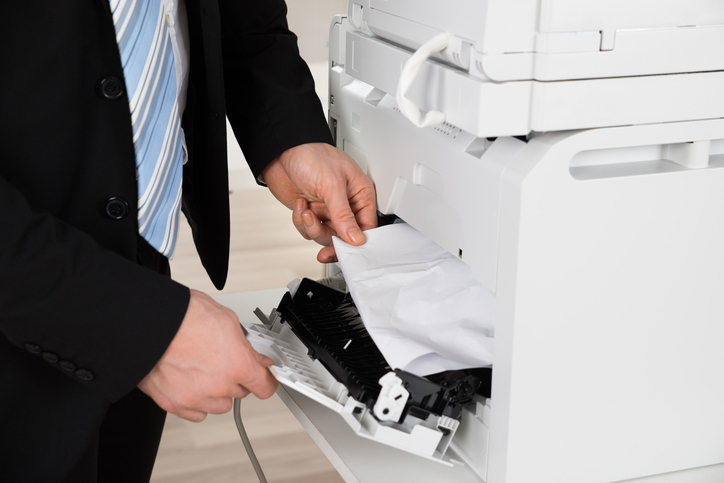 It’s an investment worth making to prevent employees wasting their time fixing printers when they could be on with other important tasks. If you find you are replacing your printer ink cartridges more frequently than before, it may be apparent that your printer isn’t using the ink as efficiently as it once did. Investing in a higher-spec, more cost effective printer could save yourself a lot of money and hassle. Many people believe that fixing the problem, is the solution. However, if these repairs are going to cost more than purchasing a brand new printer, is that really the case? There are a number of essential parts of printers that are extremely costly to replace, such as the fusers. As we all know, expenses can easily rack up if this is the case investing in a more efficient, capable printer is more than likely the most cost effective solution. As a number of businesses are extremely reliant on their printing devices, it is extremely crucial that a smooth transition takes place. That’s where Copymark come in! Find out how we can help implement a new printing system into your work place here or call our team on 0845 226 1116.